It’s been a year since we introduced Tut’s Soy Free Soap last January, so I thought a little update would be appropriate. 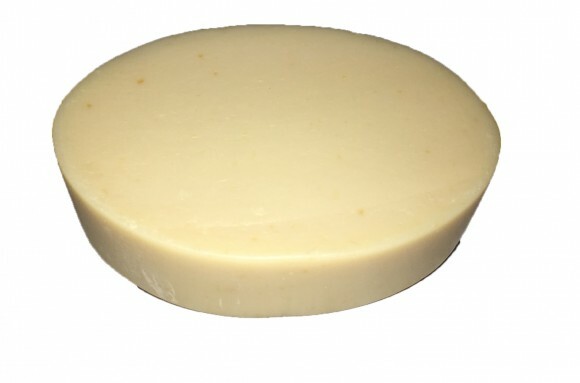 Tut’s Soy Free Soap is an extra- moisturizing unscented formulation made without any soy oil. It is the brain child of one of our favorite customers, a gentleman from Alabama affectionally known as “Tut” by all his friends. Tut wondered out loud to us if we could make a soap as moisturizing as our Baby Me soap, but without any soy, which his doctor suggested he might try to avoid. We thought it was a great idea since we know that some folks are trying to avoid soy these days. I made a batch and used more olive oil in place of the soy oil. We were excited with the results. It is a very mild, moisturizing cleansing bar. When we sent some samples off to Tut, he said he liked it too; as have many of our customers. So much so we sold out in December. Tut’s Soy Free Soap is great for extra dry, sensitive skin. It has a nice lather that will leave your skin feeling soft and smooth. But take note, it comes to you in it’s birthday suit; no wrapper! We hope you will give it a try, we think you will like it too! (3.25 oz) Made in the U.S.A. Ingredients: Saponiified Olive Oil, Cultured Goat Milk, Saponified Coconut Oil, Saponified Shea Butter, Saponified Cocoa Butter, Saponified Castor Oil. Posted by Maryclaire Mayes on Sunday, December 31st, 2017 at 05:37 and is filed under General.